Detoxing is all about cleansing your body and eliminating the wastes that accumulate to make you feel heavy, bloated, and sluggish. But many people assume it as a shortcut means to cut down on their weight gain and attain the sculpted body that they want to flaunt. What they fail to realize is that mindless detoxing will not help them in their objectives. If you are among them, then you are supposed to know the tips for detoxing your body. Even if they succeed to gain short-term results, it won’t pay off in the long term. But that doesn’t mean detoxing isn’t helpful for maintaining a healthy body. 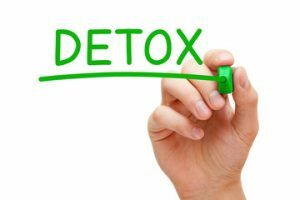 If you follow the proper means of detoxification, you can achieve your goals of cleaning your body and managing your weight as well. There can be no better way to cleanse your body from parasites than drinking loads of water throughout the day. When you intake water, you help your organs to flush out the waste materials from your entire system. Water helps to keep your kidneys, colon, liver, and even the lymph nodes functioning smoothly. But do not go overboard with your water intake. Drink water whenever you feel thirsty and make sure that your body remains hydrated enough so that you pee every one to two hours. Detoxing doesn’t mean starving yourself. It means you eat healthily and cleanse your body. That is why it is essential to start your day with a healthy breakfast. Skipping your breakfast is a big no-no when it comes to healthy detoxification and otherwise also. When you tuck in a proper breakfast, you provide your body with enough energy so as to kick properly start the day. If you make the mistake of skipping your breakfast, you will feel less energized to go through the day’s activities. Also, you will be tempted to snack on something that can lead you away from your detoxification goals. So, to remain on track, make sure to have breakfast within 30 minutes to one hour of waking up from your sleep. Greens are a must when it comes to your lunch and dinner during detoxification. You can opt for green salads or go for a green smoothie. It depends upon you how you decide to intake your greens. All that matters is that you have to incorporate them in your two main meals of the day. There are a lot of greens out there that you can experiment with. For instance, you can make your choice from vegetables like spinach, kale, asparagus, etc. Some herbs are also there to decorate your green plate, such as parsley, basil, etc. Of course, you can add lean protein, whole grains, and other veggies to add variety to your plate. But mind the portions. You can find out some balanced vegetarian diets that will keep you healthy. It won’t help your detoxifying goals if you eat your main meals with care and then surrender to your cravings for an unhealthy snacks item in the afternoon or at any time of the day for that matter. So, make sure to snack smart. One way to do that is to have healthy options handy. This will help you to curb your hunger pangs without having to opt for something that you know you shouldn’t have in the first place. Your choice of healthy snacks options can include unsalted nuts, air-popped popcorn, a fresh fruit, or even a small piece of chocolate if you feel like having something sweet. When it comes to detoxifying your body, you will have to stay away from refined sugar as well as caffeine and booze. Rice, white flour, and fatty meats are the other items that you need to eliminate from your food chain. If you continue to have these items, you won’t provide your organs the opportunity to clean up. Also, you will have to avoid all kinds of sodas. You may not be in a mood to opt for a long run or a strenuous exercise regime when you are detoxing your body. But that doesn’t mean you have to stay away from all kinds of exercises. 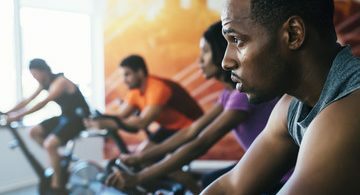 You need to opt for low-level exercises that are not much demanding on your energy quota and yet can help to amplify the effects of your efforts. Exercises will help to circulate your flood and flush out the toxins, which is the ultimate aim of your detoxification. Detoxifying your body will help you live a healthier life. It will aid your digestive, circulatory and immune system. So, ensure to practice this tips for detoxing your body and live healthy today!